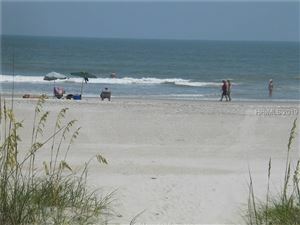 Sea Pines covers over 5,000 acres of thriving natural environment and offers over five miles of gorgeous beaches. This picturesque, sprawling community, bordering the Atlantic Ocean and Calibogue Sound, is ideal for vacationers and residents alike. Villas, condos, homes, and available building lots abound in this massive complex, just waiting for the perfect family to enjoy the many amenities offered. The Harbour Town Village and Marina offers boutiques, craft shops, dining, live music entertainment, and every water sport imaginable. The area features a park and tree house, as well as The Liberty Oak pavilion with legendary Greg Russell. The famous red & white striped light house is also located in the middle of Harbour Town, offering sweeping views to Daufuskie Island. Sea Pines is also home to the island’s first golf course. The Harbour Town course is home to the PGA’s Heritage Classic since 1969 and ranked among the country’s finest golf courses.